Now calculate the Noise Figure (Field Strength Noise Figure on output report). 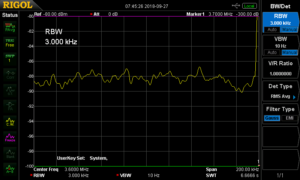 The results show Field Strength Noise Figure of 42.5dB, which is the instrument Noise Figure (NF) in this test scenario. Connect the matched antenna and choose appropriate filter settings, detector settings etc and measure ambient noise. 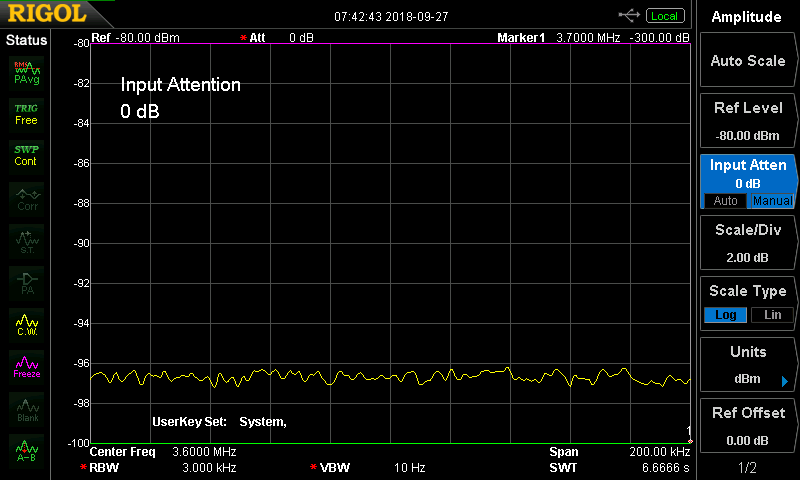 Above, the sweep indicates ambient noise recovered at 3.6MHz (where the antenna system is matched) is -88.5dBm. Now calculate the Noise Figure (Field Strength Noise Figure on output report). 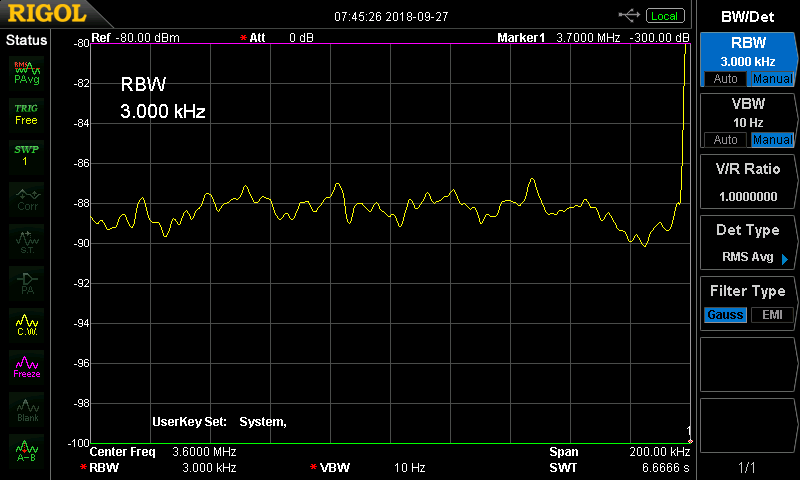 An allowance of 2dB is made for antenna loss (the antenna gain figure is -2dBi). 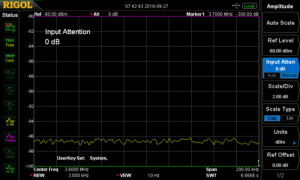 The results show Field Strength Noise Figure of 51,992dB, which is the ambient NF in this test scenario. From ITU-R P.372-13, the expected median ambient noise figure on a vertical antenna at 3.6MHz in a Residential precinct is 57.1dB, Rural is 51.8dB, so the measurement close to the Rural scenario. We might expect the Inverted V G5RV in this test to be a little quieter than a vertical, but remember that P.372 gives median figures, and a range for field measurements that were made over a large number of sites. The median figure is not a rule, but a guide to expected noise. ITU-R. Sep 2016. Recommendation ITU-R P.372-13 (9/2016) Radio noise.